I can’t wait to get my hands on a few of these pieces myself, especially those on sale! I’ll be eager to find out if any of you scored a deal with the bags and how you styled these (or similar) classic pieces! 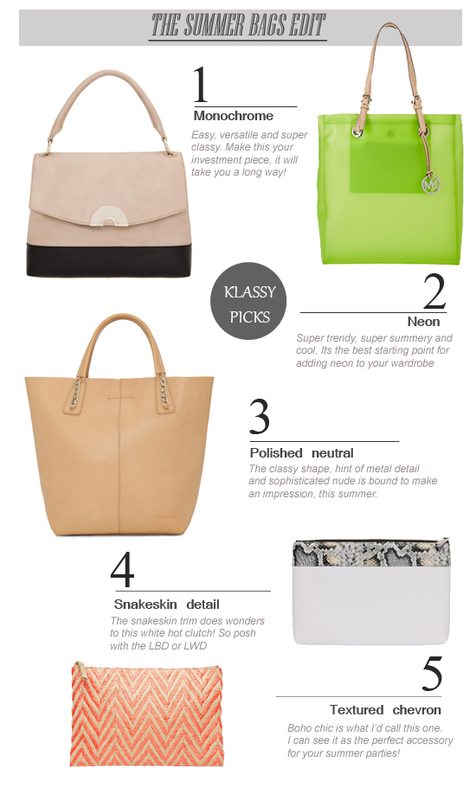 I love the neon MK bag..its fab..n that chevron one too. Thnks for the guest post Kalyani. Have recd such tremendous response. Thanks Aditi! It has indeed been a pleasure to contribute to your blogathon! You could win $200 gift certificate.